POLICE have released the name of the man who died following a road accident on Wednesday evening. He was Robert Morris, 64, from Kilkeel, Co Down. Mr Morris was a pedestrian who was struck by a bus in Rostrevor, Co Down. The accident happened on the Killowen Road around 5.45 pm in the single vehicle crash. 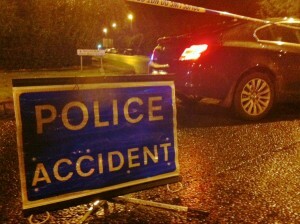 The victim was the seventh person to die on Northern Ireland’s roads in the first 15 days of the New Year. An investigation has been launched by both the PSNI and Translink.